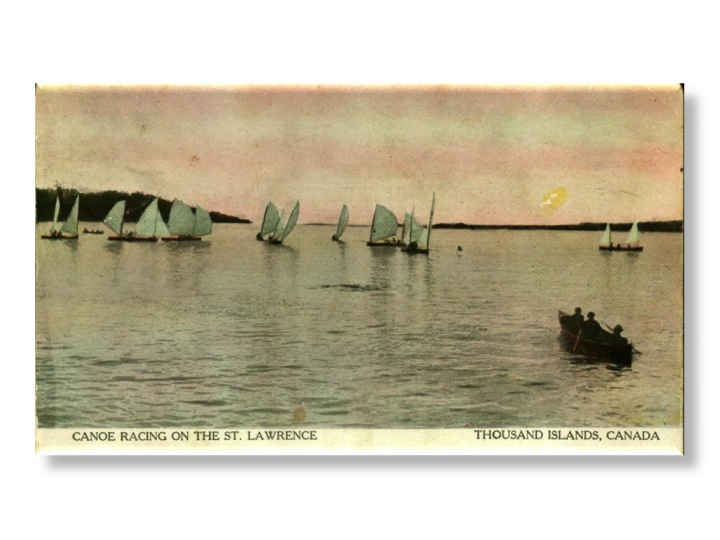 One of the centres of sailing canoe activity was in the 1000 Islands region of the St. Lawrence River. This beautiful area, with Ontario on the north bank of the river and New York state on the south, was home to a thriving recreational economy. Frequent trains brought vacationers north to any number of palatial hotels on the mainland and some of the islands. Fishing guides waited to take city “sports” out in the region’s eponymous St. Lawrence skiff and cook them a shore dinner afterwards. Most summers, members of the American Canoe Association gathered at Sugar Island, on the Canadian side of the river, for two weeks of racing, cruising, sailing, paddling and fellowship. That’s a St. Lawrence Skiff in the right foreground, lurking as a light-air canoe race drifts by in the twilight. 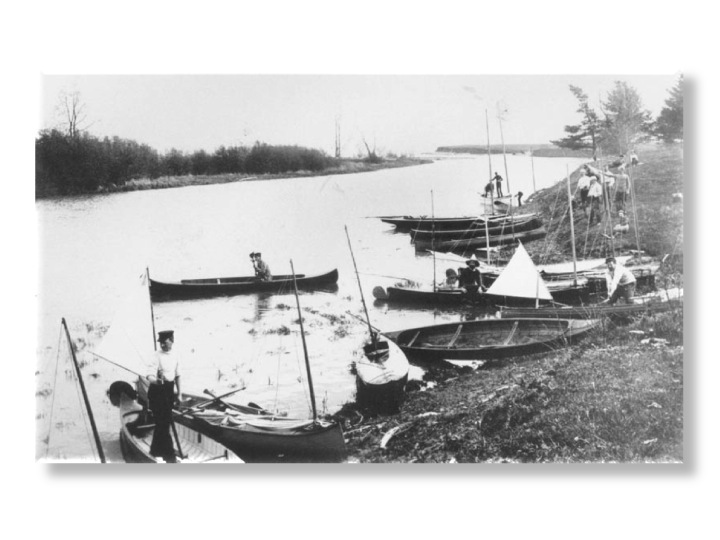 What were canoeists sailing at these meets? 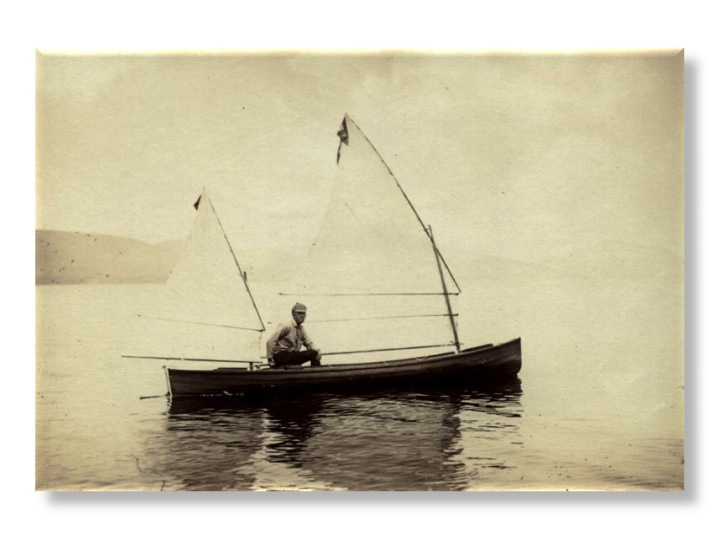 The first generation of boats were multi-purpose cruising canoes, able to be paddled (generally with a double paddle) or sailed. Derived from MacGregor’s original Rob Roy, they were generally round-bilged and often lapstrake planked. 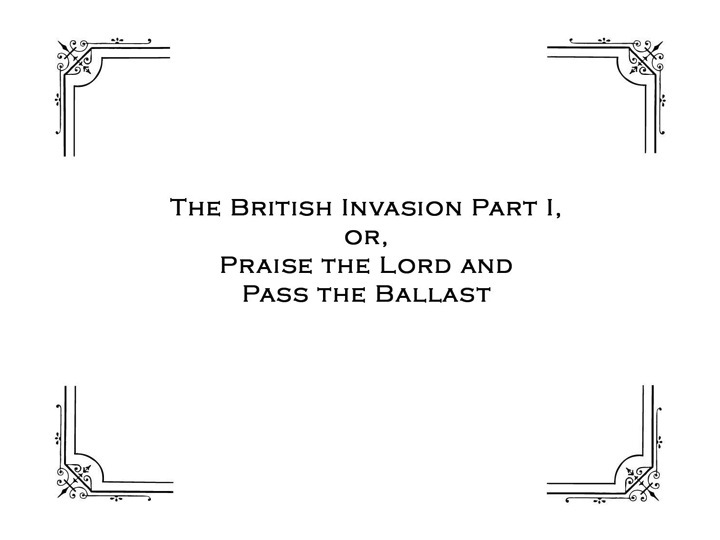 If smooth skinned, their hulls were generally of batten-seam carvel construction. Mostly decked over, they had cockpits and deck hatches to allow access to storage compartments. The rig was usually divided into two sails, a main and a “jigger” or “dandy” at the stern, to keep the centre of effort low and allow for trimming and balance. The masts were usually unstayed, and seldom sported jibs. As above, the sail plan was usually either a lateen or some variant of the lug. Sometimes the plans were mixed, and one boat would carry both a lug main and a lateen mizzen. 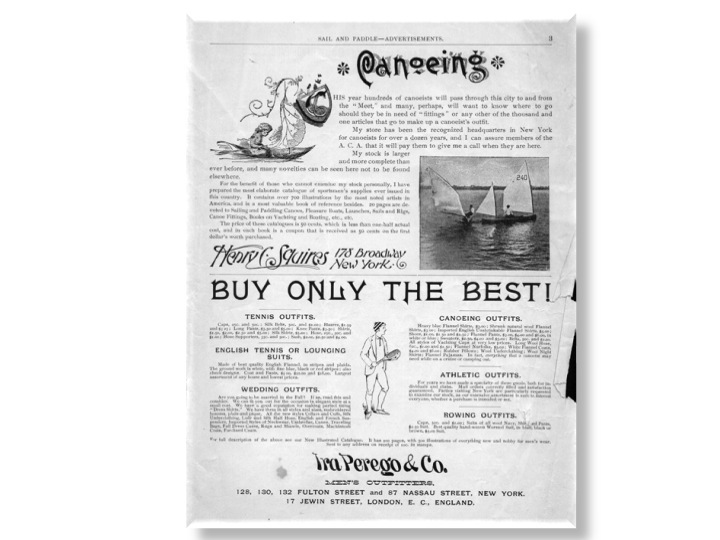 Lugs, either standing (as above) or balanced, offered a powerful, low aspect ratio sail that didn’t require a long mast and was divided into easily-reefable sections with full-length battens. This latter was important as canoe sailors couldn’t exactly get up out of the cockpit and walk forward to take in a reef. Canoeists debated endlessly about the merits of particular hulls and rigs. Significant early canoes lent their names to design types, and the sporting press of the day was filled with disquisitions about the relative merits of the Shadow, the Pearl, the Nautilus and the Ringleader. 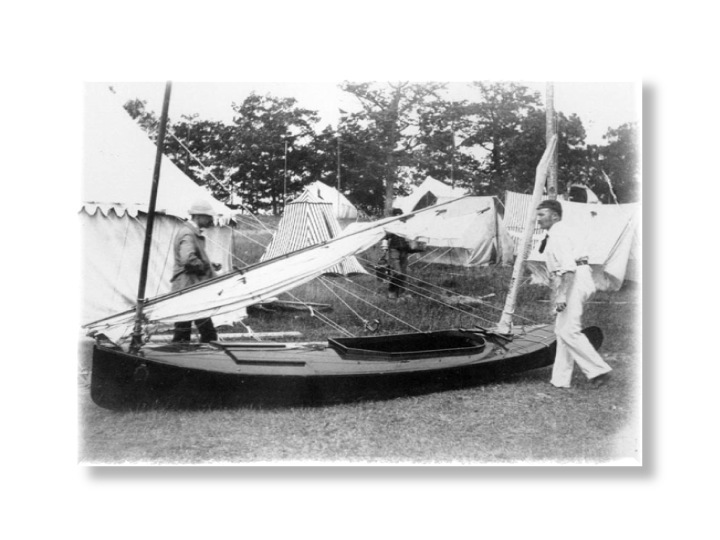 North American canoeists discussed types within their own clubs and within their own national organizations but also with British enthusiasts across the Atlantic. Out of these discussions arose an international sporting rivalry that is still contested to this day for a trophy first awarded in the 19th century: The International Challenge Cup. At the centre of this international rivalry was a famous canoeist and his even better-known canoe: Warington Baden Powell and his Nautilus.